Two Americans and their two dogs have been rescued from their sailing boat in the Pacific Ocean after drifting for five months. They apparently survived by having over a year’s worth of food in the form of dry goods like oatmeal and pasta, and a water purifier on board. 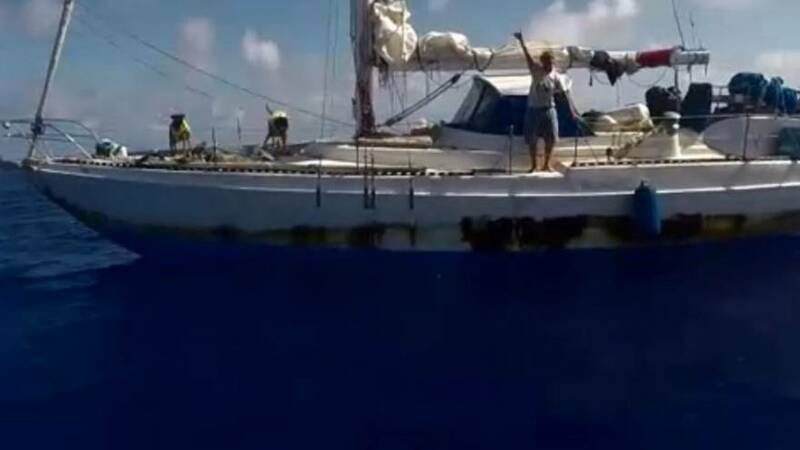 The two mariners left Hawaii intending to sail to Tahiti, before suffering an engine “casualty” in May during bad weather. The two said they thought they were too far from from Tahiti to reasonably reach land by sail. Although they issued daily distress calls, they were also too far from other vessels to be received. A Taiwanese fishing vessel had spotted them nearly one and a half thousand kilometres southeast of Japan, before a US navy ship was able to rescue them a few days later.